If you head on over to the TAG Heuer website and click on the Carrera collection, you will see a lot of watches (in Australia there are more than 200 individual models on offer). To say you’re spoiled for choice is an understatement. 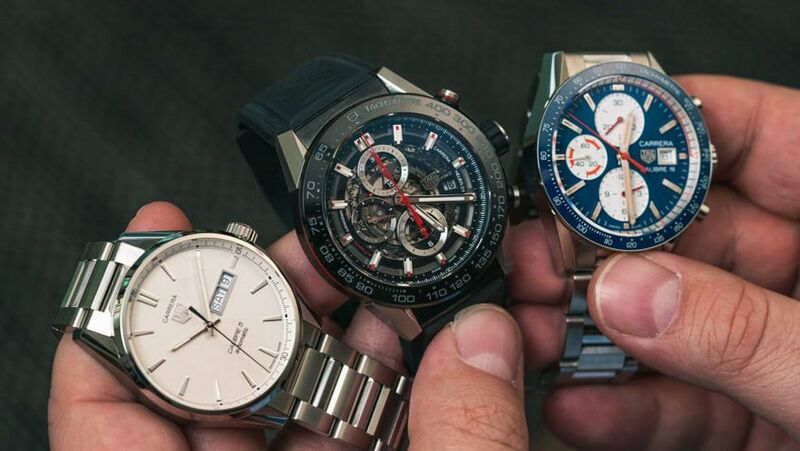 If you delve a little deeper, you’ll quickly discover that while these TAG Heuer Carreras all have the same family name, there’s some serious diversity going on in the looks department. From large modern sports pieces to more slender time-only options, the Carrera really is a broad church. So, in an effort to help you out, we’ve put together a quick comparison of three popular models. Watch it now, and if you want more detail, check out our more detailed reviews, below. Every time I wore it and looked down at my wrist, I smiled. But, by the same token, I wasn’t constantly conscious of wearing it, which is a win for me. Read our full review of the TAG Heuer Carrera Calibre 16 Chronograph here. 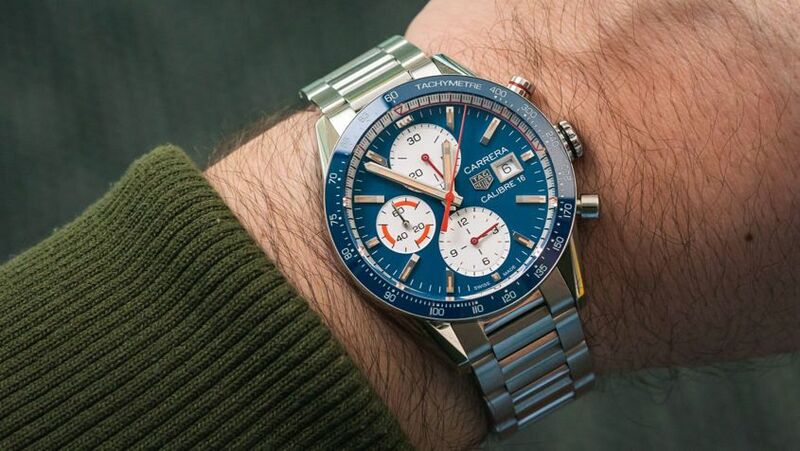 As a complete package, the Carrera Heuer 01 is the business. 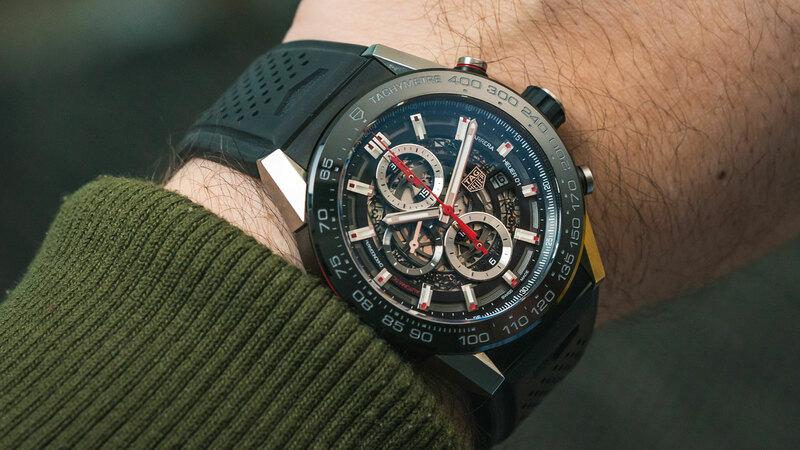 Read our full review of the TAG Heuer Carrera Heuer 01 here. This Carrera is a classical beauty, and the day-date doesn’t detract in the slightest. It’s also a watch built for the everyday. It feels comfortable and solid on the wrist, is handsome yet unobtrusive. It’s a perfect companion for daily life. 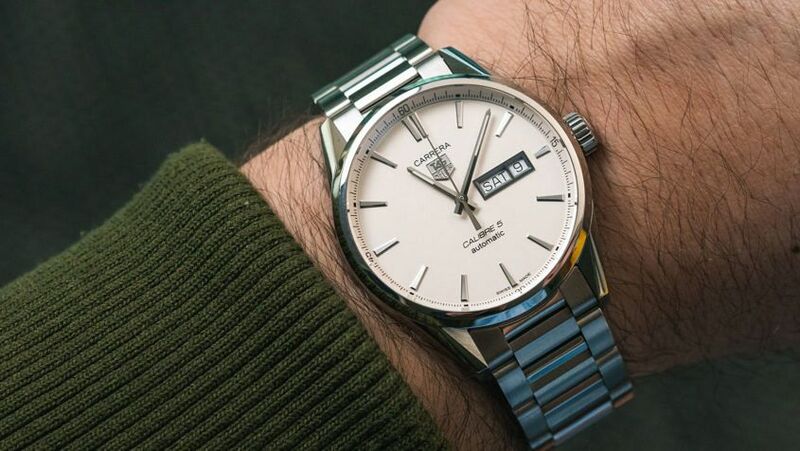 Read our full review of the TAG Heuer Carrera Calibre 5 Day-Date here.